Videos that allow your True Magnetic Connection to Shine through and Convert.. Creating Personal Branding Photography to build your Authentic Magnetic Brand.. Memorable and Marketable images captured to enhance your special corporate occasion..
Get $1,500 worth of Brand Training for the next week! Personal branding photography and video, Sydney, Melbourne, corporate, events, drone photography, video production, and editing. Photography delivered in a personal way. We invite you to read more about what we offer, view our Branding Portraits or make a time to connect with Zahrina on your brand needs. My team and I work with startups right up to established 7 figure businesses to help you attract more clients in less time. Share the excitement and energy of your next event! A corporate event is the ultimate showcase of the energy and enthusiastic community spirit inspired by your business. And now you can capture this spirit to share with those who cannot attend, through a series of professional photographs. 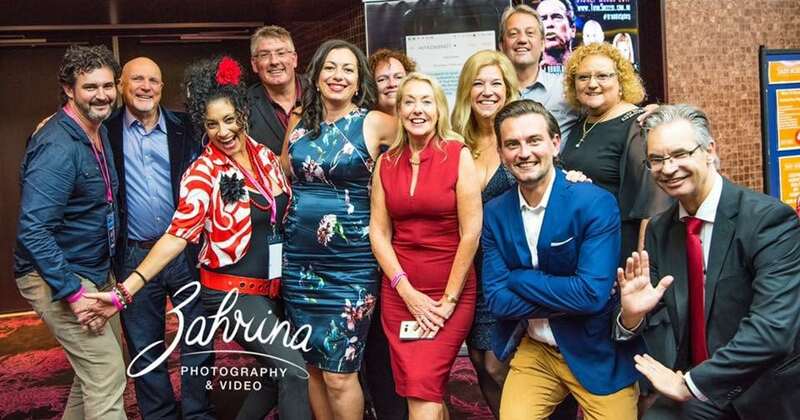 Whether it is a four-day conference, a book launch, a corporate launch or a fabulous party, I will capture the electric atmosphere and vibe of your event. I have shot every type of event from intimate product launches to magnificent extravaganzas with thousands of attendees. As part of my Event Photography package, I provide an online gallery of your images for you and your clients to enjoy after the event has taken place. You know that you’ve done amazing things in your business and for your clients. You know that there are things about you that set you apart and make you golden. You know that it is time for you to rise among the rest and put yourself out there with boldness. But the images you’re using in your brand are maybe just selfies off your iPhone or they struggle to communicate your power and your story well. You’re craving images that create connection, energize your brand and bring personality to your business. You’re going all-in to put yourself out there consistently, so you want photography that tells your story. You don’t just want a photographer + videographer, you want a strategist, a stylist, a storyteller and a confidence stirring coach. Good news! I am all three. Through my Influencer packages, I partner with passionate, go-getter leaders and entrepreneurs to give you an inclusive experience where you are taken care of and pampered, along with receiving photographs that are taken with a creative and in-depth strategy with your story top of mind. TOGETHER, let's capture your authenticity to convey confidence, clarity and certainty!